Former star player, Diego Maradona has said that a recall for Carlos Tevez back to the Argentine National team is a very necessary one, as he believes the player deserves it. At the moment, Argentina rank 5th in the 2018 World Cup CONMEBOL qualifying standings. In view of this, Maradona has urged Edgardo Bauza, Coach of the Argentine squad to quickly recall Carlos Tevez to the international squad. This he believes, would help save the country's ailing World Cup qualifying campaign. The last time Tevez featured on any of the National team's game was way back, about 13 months ago, a World Cup qualifier, played against Paraguay. The match, which ended in a goalless draw, was played in Asuncion. "I ask people not to give him a hard time, that they should just let him play. 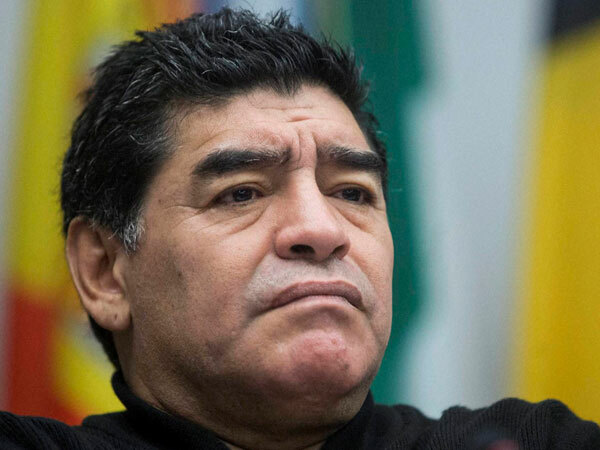 He has what it takes to do well for Boca [Juniors], the national team and whichever other side he plays for," Maradona said while speaking to Clarin newspaper. Unfortunately, this season has seen the former Manchester United player struggle for form, especially in recent weeks. In five appearances in the Primera Division season for the Boca Juniors, Tevez has only been able to score once. However, Maradona, who won a World Cup with Argentina in 1986, still believes that Tevez has a lot of potentials yet to offer to the National team. "I can only say that I love Carlitos and I'm grateful for the fact that he decided to return [to play in Argentina] when he could have played in 10 other countries," Maradona said. Tevez has had stints with top teams such as Juventus, Manchester City, West Ham United, Corinthians and Manchester United, before moving to Boca Juniors where he currently plies his trade.